4k00:11ripe strawberry in basket on straw. 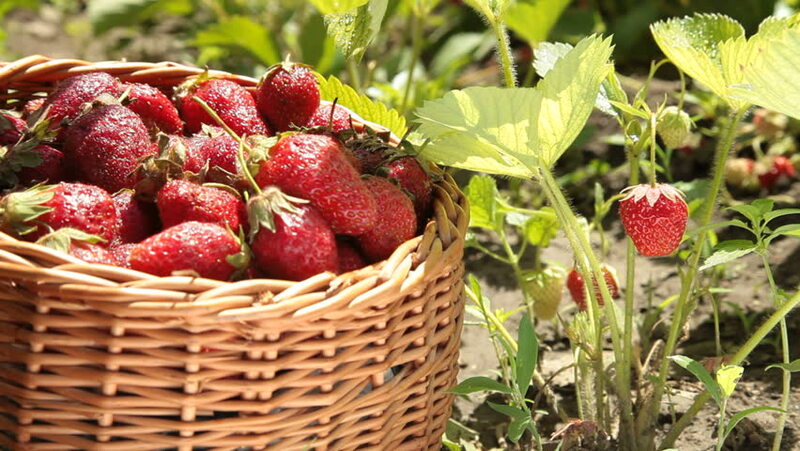 4k00:13Collect strawberries from the garden. Check the ripeness of the strawberry with your hands.